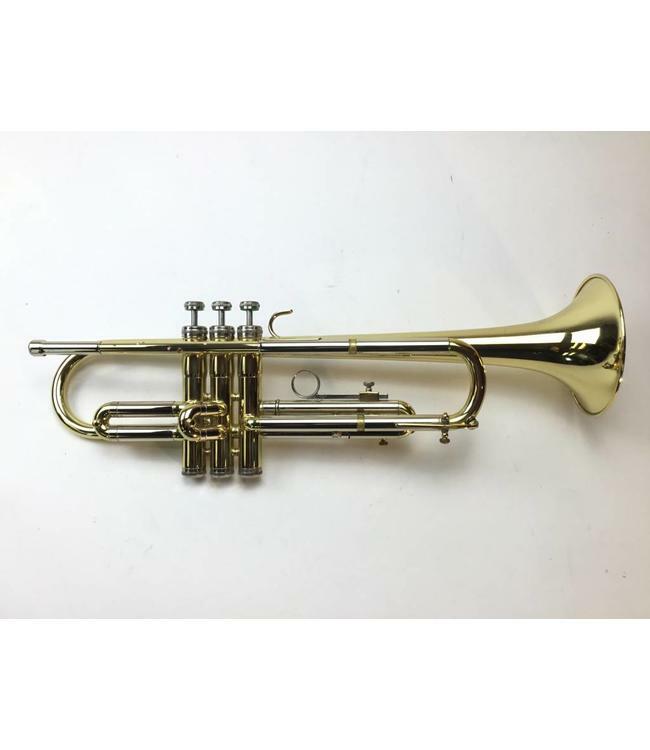 Used Martin Committee model T3465 large bore Bb trumpet in lacquer. Instrument is in good condition with evidence of red rot in leadpipe and surface scratching. Includes case.